I recently purchased a 2001 R1100R. I also downloaded a service manual. However the manual does not show or explain all the lights on the instrument panel. Some are obvious, but can somebody explain the layout or tell me where to access a graphic with identifications? Your 2001 has same instruments as R1150R Roadster. Turn signal indicators, neutral, high beam, low fuel, charging system, and oil pressure. If you have ABS, then the remaining two lamps provide fault status for the brakes; otherwise those indicators are blanks. I've just purchased a 1997 R1100R. It didn't come the riders manual, so I'm ordering one. But in the meantime can someone could post a picture of the dash & what lights mean what? I have a solid red light in the lower right that I'd like to know what it means. I am installing the CH650 canopy on a CH601-HD. 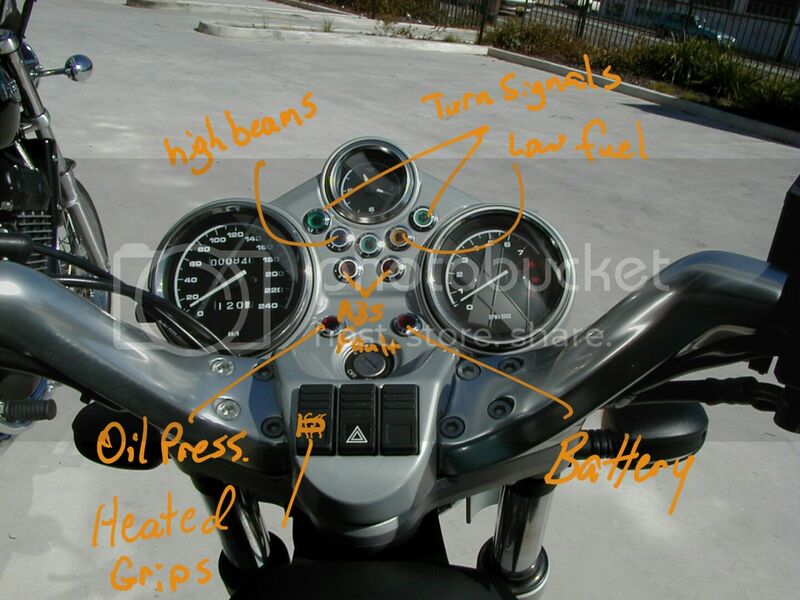 Could someone tell me what is the CH650 instrument panel width? This instrument panel looks different to my P3 75 six-light 1948 Is it possible there were multiple versions? Could this be a P2 instrument panel?